A luxury property ... || || This castle on a human scale near Montpellier and sea offers five beautiful rooms d? Guests. Surrounded by vineyards, the Commanderie de Launac le Vieux guarantees a relaxing and warm. Jean-Paul invite you to share the? Atmosphere of this house. L? Stone staircase and? Medieval architecture will lead you to your room. || || An Environment dreams || || In the morning, enjoy a hearty breakfast made with taste by Isabelle? S enthusiastic hostess. Start your day on the leafy garden terrace surrounded by palm trees, banana trees and lush plants. Hello, rental for a single couple or for an amount of 400 euros per week in rent you can use the common areas, kitchen, bathroom, living room, swimming pool, garden for a house in allotment of 140 m2 located on Fabrègues 12km from Montpellier The house includes 3 bedrooms + office + bathroom with corner bath and shower + radiator dry towel, high speed internet + wifi, kitchen arrange US overlooking a large living through with air conditioning, terrace and small pool, the pictures are that of the chamber available the house has views on the Gardiole not vis-à-vis the rear garden and possibility to go by bike to the beach. This apartment of 32 m² (about 326 ft²), built in 1900, in a building of 5 floors comprises 2 rooms including 1 bedroom, 1 bathroom and 1 toilet. It is equipped with a living room, with a balcony, with a cellar and with a parking lot. recent with secured elevator. Private parking. Pets not allowed. Loue, duplex of 50 m2, for intern, student alternate, continuous, holidays, weekend, week, etc ... Located in a nice quiet setting just 10 minutes from Montpellier, 10 minutes from beaches, 10 minutes from the gorges of the Hérault, bus 100 meters. Shared pool. Kitchen, living room, bedroom, bathroom and toilet. TV 100 cm. Neat and nice decoration. Renovated and maintained in impeccable condition. Furnished studio for rent, of 19 m², with a separate entrance. In a villa on the ground floor, with a bed for 2 people, a terrace, garden furniture, sunbeds. A kitchen equipped with electric plates, a microwave, fridge, TV, radio. Main room with a 2 seater BZ type, very comfortable. Toilet with washbasin, shower, WC. Close to all shops and services: municipal swimming pool, tramway, etc. Located in Saint-Jean-de-Védas, in a quiet area, 4 km from Montpellier, beaches of Pallavas and Carnon 10 km. La Grande Motte, the King's Grau, Sète are about 25 km away. Easily accessible by road or motorway. The trailer is installed at the bottom of our tiny garden of our house, in a very quiet subdivision in Mireval, a small village of 3,500 inhabitants (with all shops nearby) 15 km from Montpellier, Sète or Palavas. You will be comfortable there. It is equipped with a double bed and an armchair. Very well insulated and with electricity. The bathroom and amenities are inside the house (shared). You can have the garden and its table under the arbor, table football, darts, hammock, deck chair. Possibility of adding an umbrella bed or a fireside chair for a child. At Vic-la-Gardiole, in a private and secure residence with caretaker, including 2 swimming pools, bowling and tennis courts. I rented a small duplex villa, completely renovated with terrace and private garden of about 65 sqm, parking lot. Composed of 1 living room with sofa, sofa bed, sleeping 140x200, 3D smart TV, 1 kitchen open to living room with new appliances (fridge, oven microwave, convection grill, ceramic hob, Nespresso coffee machine, coffee maker filter, washing machine, dishwasher 6 covered), 1 bathroom with vanity cabinet, bathtub and toilet, 1 bedroom with 2 beds 80x200 and 1 loft bedroom with bed 160x200. Rent a furnished room in an atypical apartment, with a bed 140, a bathroom and shower, wardrobe, internet, air conditioning. Terrace and patio shared with the owner. Quiet, close to all amenities and the center of Saint-Jean-de-Vedas, very close to the exit of the A9 or A709, restaurants and shops nearby. 15 minutes from the beaches and the center of Montpellier. Tram line access 2 to 5 min walk. Villa of 140 m², welcoming and friendly, ideal for a student, because Montpellier is a lively and student city. The house is located 5 minutes walk from the L2 tram and all commerce, direct city center in 20 minutes (Place de la Comedie). Shopping center 5 min by car and the beach 15 min. Garden and terrace - barbecue. Spacious living room, kitchen, open space, 4 bedrooms, 2 bathrooms. Parking gratis in front of the house. We often welcome young foreigners who come to learn French. International atmosphere, we love travel, sports, music (guitar). For people visiting the Montpellier area, we offer a room with every comfort. All amenities (shops, freeway access, internet, parking, public transport), in a beautiful medieval village. Depending on the time you can also enjoy the pool, garden, terrace and summer for a relaxing one kitchen. We can also provide breakfast (included) and eat with us half board (extra). Beautiful lodge with great benefits in a gated community located in a small village in the Herault, between Sete and Montpellier. You are 10 minutes from beautiful beaches, including the beach Aresquiers. In the residence, you can enjoy two large swimming pools, a soccer field, petanque, table tennis and 2 tennis courts (free admission for all activities). You will not miss breakfast croissants as a traveling baker comes in residence every morning. Desideri trovare una locazione a Fabrègues ? Fabrègues è un'affascinante città situata in Francia. Con Roomlala, gli abitanti Fabrègues sono felici di accoglierti, poco importa la ragione della tua locazione (turismo, viaggio, lavoro, stage, studi, ecc.). Il sito è a tua disposizione per aiutarti a trovare una locazione arredata a Fabrègues o una camera presso l'abitante a Fabrègues. Quale é la differenza? Affittando una camera presso l'abitante, affitti principalmente una staza, nell'alloggio di un abitante di Fabrègues. Trovare una locazione arredata a Fabrègues equivale ad affittare un monolocale, un appartamento o una casa in cui il proprietario non vive. In entrambi i casi, le locazioni offrono servizi obbligatori. Grazie a Roomlala, puoi trovare un coinquilino o dei coinquilini a Fabrègues. Se hai già trovato un alloggio (casa, appartamento), puoi semplicemente publicare un annuncio gratuito per cercare i tuoi futuri coinquilini. Se non hai ancora un alloggio o dei coinquilini, puoi trovare una coabitazione a Fabrègues, nel quartiere che più Fabrègues ti piace, per brevi o lunghi periodi (camera in affitto al mese, all'anno). 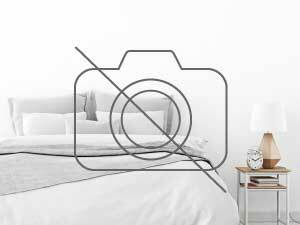 Per i brevi soggiorni, la nostra piattaforma vi permette ugualmente di cercare una camera presso l'abitante a Fabrègues o un Bed and Breakfast (camera a notte) a Fabrègues, in prossimità di luoghi turistici di Fabrègues. In occasione di un alloggio per le vacanze a Fabrègues, puoi visitare i luoghi caratteristici e passeggiare per la città. Un'altra possibilità: cerchi un alloggio in cambio di servizi a Fabrègues ? Roomlala ti propone annunci di locazioni in cambio di servizi come babysitter, aiutare le persone anziane, sostegno scolastico, assistenza a domicilio, alloggio intergenerazionale, aiuto studenti, portiere, soggiorno au pair, ecc.